The Indiana House voted unanimously Wednesday for a bill that would allow Hoosier farmers to grow industrial hemp — marijuana’s low-THC cousin. Under Rep. Jim Lucas’ House Bill 1137, acres of the green leafy plants could be intermingled with rows of corn across family farms in Indiana. Currently only researchers at institutions are allowed to grow the plant, and are unable to do so for commercial purposes. Only Purdue University researchers are growing the product in the state. The provision could see some push back in the Senate, or from individuals like Attorney General Curtis Hill, who has been outspoken against marijuana legalization. The Indiana House and Senate appear to be on the same page when it comes to legalizing cannabidiol, a product derived from hemp. However, permitting the growth and manufacturing of hemp would take its legalization a step further. Many senators were already reluctant to vote for a bill last year that legalized CBD oil for epileptic patients. That measure passed by a 36-13, compared to the unanimous vote in the House. Proponents say House BIll 1137 is a “jobs bill” and could lead to economic growth, while opponents worry about the legality of growing a plant with some similar properties to marijuana. The federal 2014 farm bill allows states to permit the growth of industrial hemp for research purposes. Kentucky already has a broad industrial hemp pilot program, similar to the pilot program Indiana would begin with this piece of legislation. 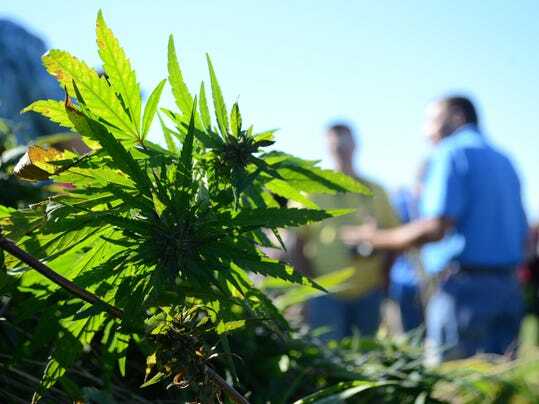 Under Kentucky law, farmers can apply for a permit to grow and manufacturer industrial hemp and sell it for various products, such as CBD oil, hemp seed oil and fiber for car manufacturing. The Kentucky Department of Agriculture says its program follows federal law, but others in the industry aren’t so sure. Indiana would face the same legal question if this bill passes the Senate and is signed into law. The passage of the law could also be another step towards marijuana legalization, in the eyes of some social conservatives. Already the Indiana House unanimously passed a resolution to study medical marijuana, a unprecedented move for the GOP-led chamber. The average Hoosier would be unable to differentiate between industrial hemp or marijuana, Beckerman said. Both are leafy and green and both can have a potent smell. Industrial hemp, however, can’t get users high. She also said someone could easily hide a marijuana plant in a field of hemp. Despite legal concerns, Kentucky’s Department of Agriculture has pegged its program as a success. In 2017, Kentucky handlers grew 3,200 acres of hemp in 74 counties. “Because of the research conducted by our growers, processors, and universities, I am more optimistic than ever that we can put industrial hemp on a path to widespread commercialization once Congress removes it from the federal list of controlled substances,” Kentucky Agriculture Commissioner Ryan Quarles said in a press release. Hemp experts say the product could have the same potential in Indiana, once farmers figure out how to properly grow the product. Indiana is already seen as an agriculture leader and is one of the top 10 agriculture producing states. For example FlexForm Technologies, an Elkhart company, manufacturers mats and panel products. Currently the company has to import hemp. That could change if Indiana farmers start growing the product. Another company, Healthy Hoosier Oil, could use the cold press seed processing they already use to make sunflower seed oil, on hemp seeds to create a food-grade oil. CBD oil manufacturers could also start using in-state hemp to make their products. Another issue lawmakers and lobbyist acknowledge they’ll have to solve is educating the public enough to understand the difference between the two plants. Call IndyStar reporter Kaitlin Lange at (317) 432-9270. Follow her on Twitter: @kaitlin_lange. New York, April 25, 2019 -- Saudi authorities should immediately release Jordanian journalist Abdulrahman Farhana as well as the other journalists swept up in their campaign against dissent, the Committee to Protect Journalists said today. Bangkok, April 25, 2019 -- Myanmar's military should drop its criminal defamation case against independent news outlet The Irrawaddy over its coverage of the conflict in the country's Rakhine state, the Committee to Protect Journalists said today. Miami, April 24, 2019--Cuban authorities should immediately release journalist Roberto Jesús Quiñones, the Committee to Protect Journalists said today.